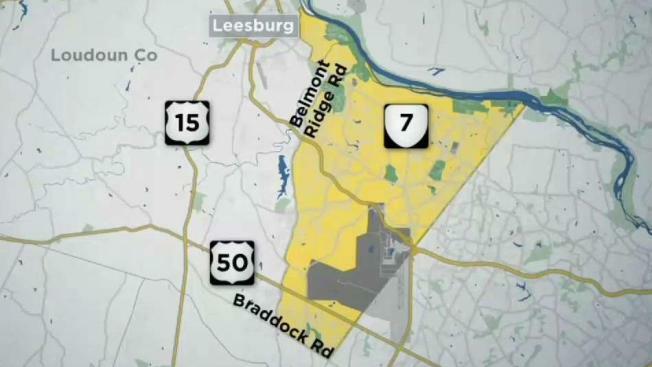 Loudoun County residents are asking whether rules about where people can shoot guns need to be changed after bullets fired from an outdoor shooting area struck three homes in an Aldie neighborhood Sunday. When Kelsey Glass heard rapid gunfire, she headed for the basement of her home in the Willowsford subdivision, then she called her mom and the sheriff’s office. Neighbors later discovered bullets hit three homes. “What if they hit my house or my dog or me if I was outside?” Kelsey Glass said. The sheriff's office determined the shots came from an outdoor shooting area at a neighboring property. That resident posted on Facebook a friend came over and wanted to fire a machine gun. No decision has been made yet on whether any criminal charges will be filed, but the sheriff's office said that type of shooting is permitted in that part of the county. “Even when you have lawfully discharged a firearm, you are still responsible for those rounds,” County Supervisor Tony Buffington said. He’s asking whether any changes can be made to the ordinance governing shooting. “I've reached out to the county attorney and I'm waiting to hear back to see if we can maybe make some tweaks that would provide more safety for our residents,” Buffington said. The ordinance — last revised in 2013 — permits all types of shooting in the more rural, western part of Loudoun County with some restrictions: No shooting within 50 yards of a highway or 100 yards of a park, school or occupied building, like a home. With subdivisions rapidly encroaching on farms and fields, some say it's time to move that border farther west. Buffington said if he finds out it would take a full scale revamp of the ordinance to keep residents safe, that would be a much more involved process demanding lots of community input before any changes could be made.